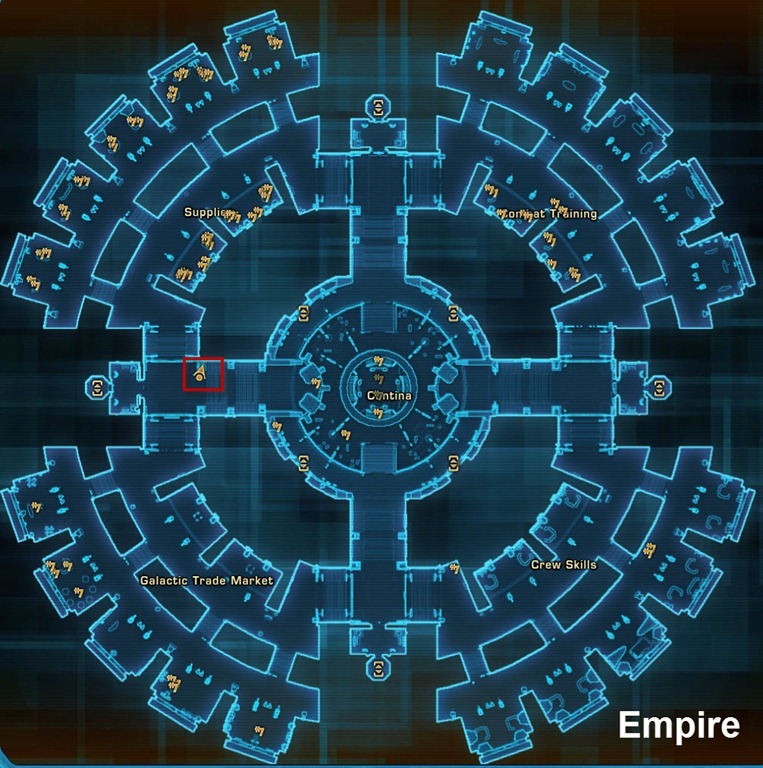 Access: The new flashpoints can be accessed via the group finder or via the new hub (Mission hangar) accessed from Mission Departures elevator on the fleet. Story Quest: There is a story quest on picked up from a droid on the fleet that can give you the new HK-51 companion customizations as rewards. 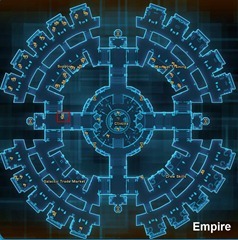 This droid is near the Mission Departure elevator (A7-M1 on Empire, T3-G2 on Republic) ) and will have the Story Arc: Forged Alliances tag under his name. Rare Drops: Many of the bosses can drop rare pets/mounts. Keep an eye out for these new mounts/pets added to patch 2.7. Perioidcally during the fight, he will break one of the cages and summon two Mind Controlled Tuk’ata adds (strong, 48k HP) that should be killed first or AoE down with the boss. 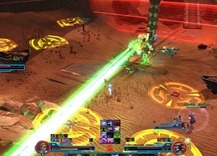 Marks a player with Acquiring Target and then cast a Laser Burst, a giant green beam at them. Doesn’t deal a lot of damage but can be dangerous if the player is low on HP already. Periodically will go into a bombardment phase where it drop a large red circle on itself that deals damage over time. At the same time will drop red circles that target players and yellow circles that drops mines. These mines do last for a while and hits for over 8k damage if you walk into it. 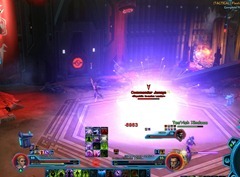 Channels Saber Reflect, which will reflect all damage. 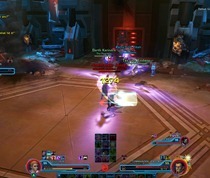 During this a Containment Droid is summmoned and will chain stun a player (Containment Beam, 15s duration) and cannot be interrupted. 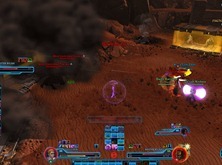 Kill this droid to rescue the stunned player. The droid will kill itself after it finishes channeling the beam regardless. About twice during the fight he will choke everyone and jump from player to player. At the end of it, he will leap to the middle of the room and deliver a massive explosion that deals a fair bit of damage and knocks everyone back a few meters. 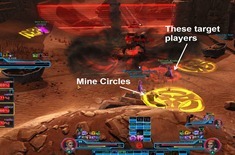 So is it only Tython or does the new Mount drop on Korriban too? 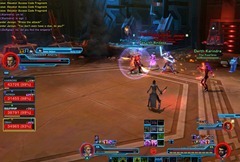 On Republic side, inside the Sith Academy, in the room where you fight the Inquisitor trainer I heard the datacron noise. 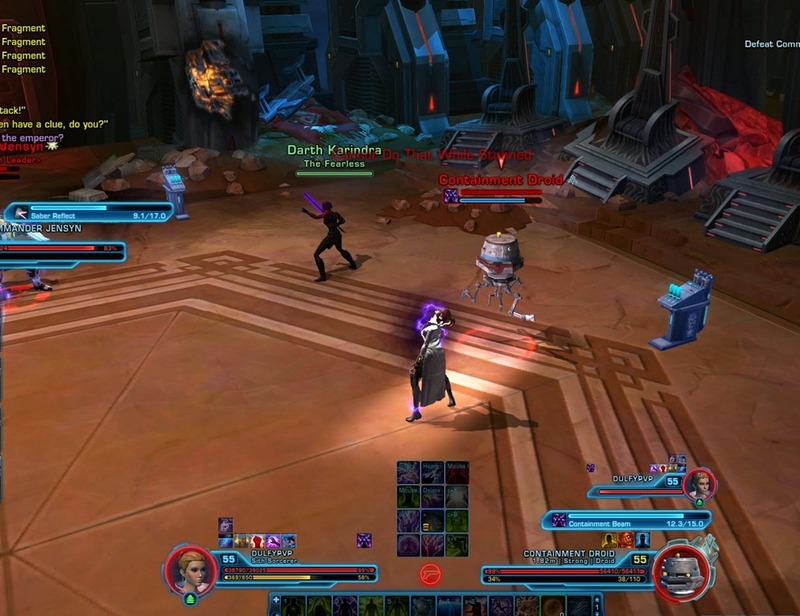 I went up the stairs to where there is a datacron on Korriban proper and there is a glow on the shelf where it should be and datacrons strewn on the floor but I couldn’t find anything to click. Has anyone else seen/heard this? Has anyone found a way to interact with it? I’m not necessarily expecting the datacron but it does look like there should be something to interact with there. 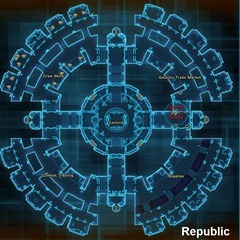 I haven’t spotted anything similar on Tython but I don’t know the Jedi temple as well as I know the Academy. 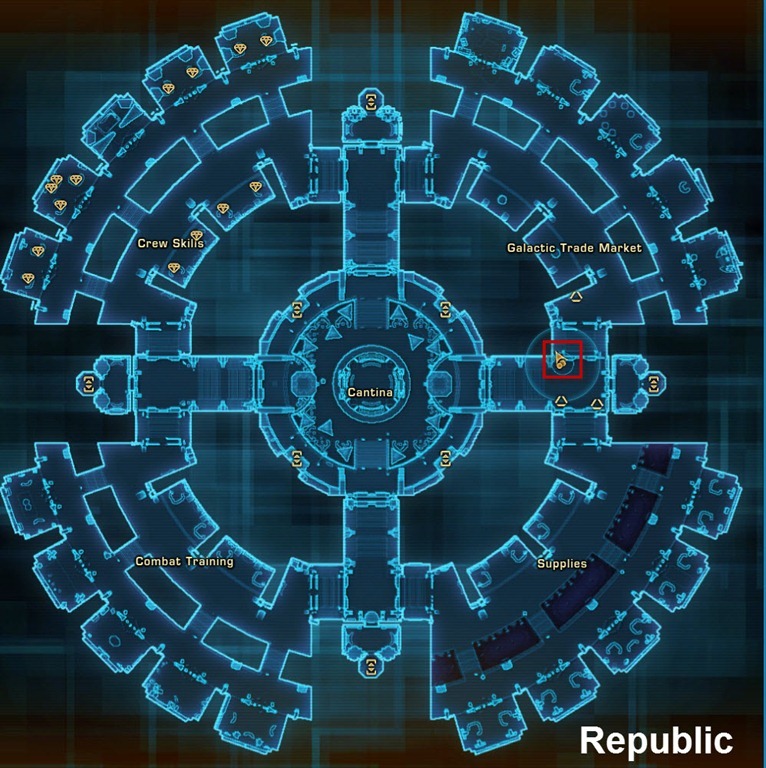 That’s because in that room (not in the instance) on regular Korriban, there is a lore location that is a Holocron (not a datacron). 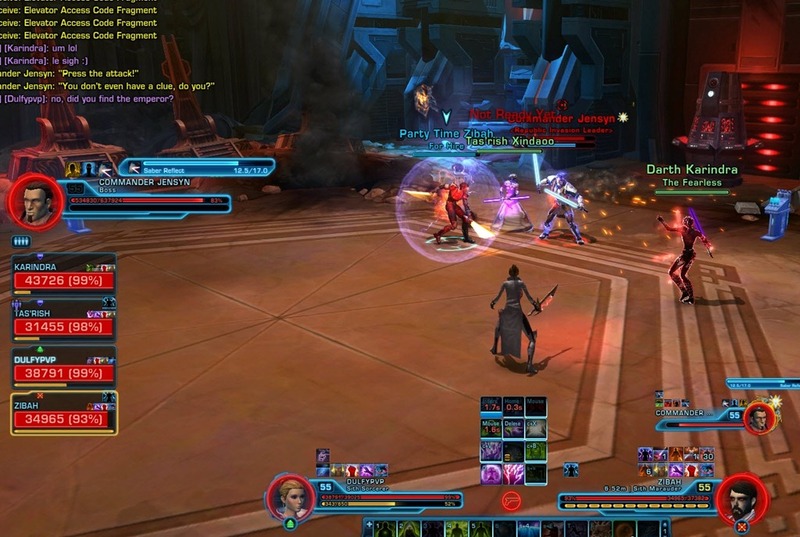 For some reason, this fp and Assault on Tython seem very unpopular. I quened for it today and it never popped. Whenever I queen for all the Tactical FPS, I ALWAYS get Czerka Core Meltdown for some reason. What does Jensyn mean when he says (as he dies), “I go knowing I set a great thing in motion” ? so is this the 1st part of the manaan story? also do you have to do both parts of the story i.e this and assault on tython? Dulfy, will you be posting updated lv 60 HM guides for these FPs? 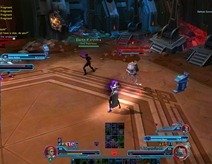 Not sure about Story mode, but on Hard mode, during the first boss fight, the tank should pay attention not to stand with their back towards open cages. If the boss throws you into one of them, the electricity will insta-kill you. Then your corpse will be at the fight site entrance, can be combat revived. What is the name of that armors name weared by that commander jensyn?? 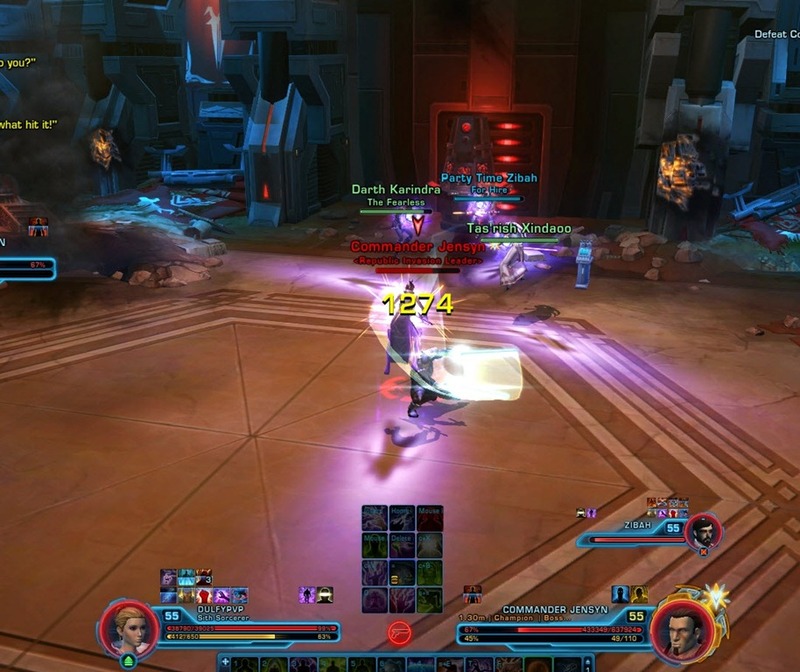 R-9XR/I5-T1 have a soft enrage timer, if you don’t dps him fast enough he goes into “extermination mode ” and basically just wipes everyone. 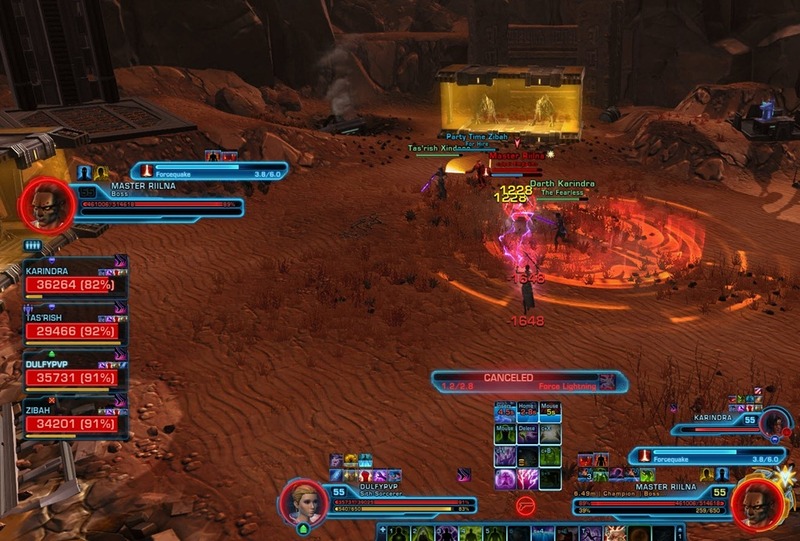 Wish the guide was more up to date, he’s definitely a PuG killer, atleast for the DvL event – very DPS and Healer fight, tank doesn’t do much here. Guide is totally incomplete for HM, basically useless.